Horizon Zero Dawn update 1.20 will be available next week for gamers. The new update will bring Photo Mode that includes three new filters and the ability to select different poses for Aloy. The latest patch 1.20 also includes gameplay time to the statistics menu, filters and a legend to the in-game map and the quest map. You will also get the ability to control the x and y-axis sensitivity of the camera, several bug fixes, a fix for the PS4 Pro’s fan speeding up when opening the map, and more. The latest update also brings fixes for technical issues and crashes. Check out full details below. Added filters and a legend to the in-game map and the quest map. Horizon Zero Dawn update 1.20 added several new custom HUD options. Added an additional blue health bar on top of the player’s health bar whenever the Shield Weaver Armor is equipped to indicate a number of extra health points the armor is providing. Horizon Zero Dawn update 1.20 added the option to categorize and sort your inventory. Added the option to control the x and y-axis sensitivity of the camera. Horizon Zero Dawn update 1.20 added Spanish language support for North American copies of the game. Spanish subtitles can now be enabled, and Spanish audio is also now supported via a Spanish VO pack that can be downloaded from the North American PlayStation Store (in the week of 8th May). Fixed an issue in “The Womb of the Mountain” were completing a weapon tutorial during the corruptor fight and reloading would block further progression for some users. Horizon Zero Dawn update 1.20 fixed an Issue in “The Field of the Fallen” where some players found Erend to get stuck in the floor after killing two ravagers at the ambush site. Fixed an issue in “A Daughter’s Vengeance” where a large plant-filled area lacked collision resulting in some players getting stuck in the environment. Horizon Zero Dawn update 1.20 fixed an issue in Cauldron Xi, where some players were not able to progress due to missing a progression marker. Horizon Zero Dawn update 1.20 fixed an issue in “The Point of the Spear” where for some players Aloy still has two spears in her inventory after the recent patch. Horizon Zero Dawn update 1.20 fixed an issue in “Deep Secrets of the Earth” where if some players surpass the trigger for the movie sequence, the main story quest will not progress upon entering the bunker. Horizon Zero Dawn update 1.20 fixed an issue where for some players an NPC would sit on a chair or bench while in combat resulting in their bow floating in midair next to them. Horizon Zero Dawn update 1.20 fixed an issue where certain players who ride a mount from the Spire would be able to bypass the “mount can’t enter this location” message in Meridian Village. Horizon Zero Dawn update 1.20 fixed several issues where for some players in certain occasions dropping a Treasure Box would leave the Treasure Boxes floating the air. Fixed an issue where certain players were told to quit the main menu incorrectly when attempting to change text or speech-language on first boot. Fixed an Issue where for some players several blue lines would be visible in the lower part of the screen during a Conversation. Horizon Zero Dawn update 1.20 fixed an issue where some players are still able to enter the World Map and Fast Travel right after an interaction has been triggered with triangle and when specific HUD messages are active. 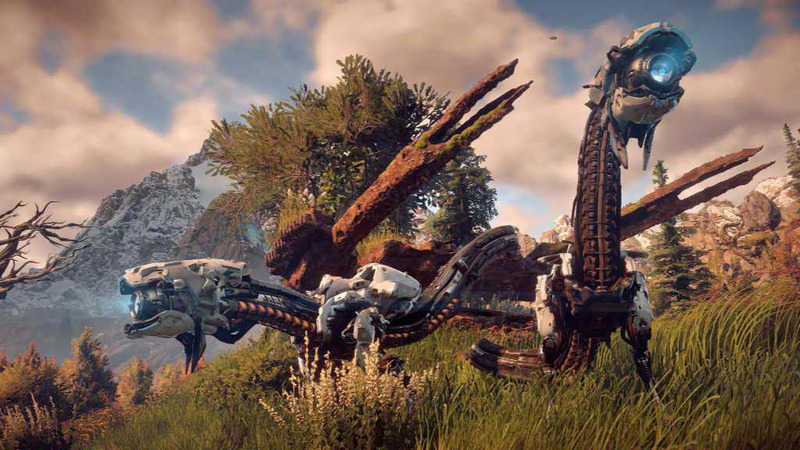 Horizon Zero Dawn update 1.20 fixed various miscellaneous crashes. Download Horizon Zero Dawn patch 1.20 on PS4 next week.